It was likely in the late 1970’s. We went from North Lake , PEI, called the Blue Fin Tuna Centre of the world. The boat was called the Lucky Strike and the captain’s name was Darrell. His 20 year old son was the crew. Darrell had been the “high liner” captain several years in a row and he must have been our year too, as we alone caught 5 fish. Most of the boats caught less than 5 in the whole season. We fished for 3 days. The captain went out each morning before light to jig for mackerel and we boarded around 7. We motored about 1 mile offshore and began trolling with 3 trolls and an array of towed mackerel that together resembled a school of mackerel, pretty clever. The captain and crew were good and could sight a tuna on the surface or feeding on the schools of mackerel that were present. Mostly it was almost boring as we trolled back and forth without much happening BUT when a tuna hit, it was crazy. The other trolls were all hauled in. 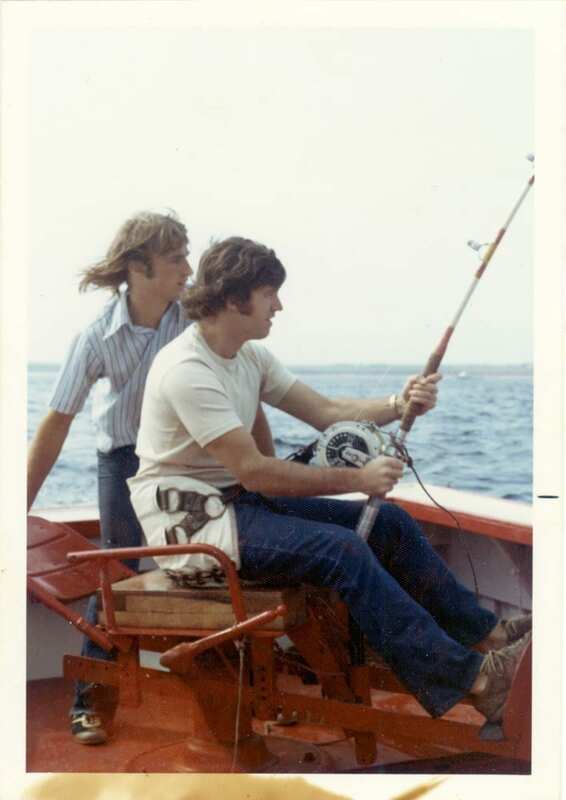 Whosever turn it was (the 4 of agreed to switch every ½ hour) in the chair, would take the rod with the fish on and slip the rod into the holder strapped around your waist and under your bottom and start a long process of reeling in the slack and watching the fish take the line and run. I recall that there was 400 yards of line on the reel and the tuna would take much of it and then one would reel in back in very slowly. The captain was constantly maneuvering the boat as the crew stood beside the fisherman advising when to reel and when to stop. The experience was exhilarating and a thrill hard to describe. Exhausting too. I caught 2 and one took almost an hour. My reeling hand was blistered and bleeding (a little). We landed 5 fish, 375, 600, 2 at 800 and the largest 1050 lbs. I caught the 2 800 pounders.